BEN NORTON: The far-right government and EU member Hungary is cracking down on civil rights. 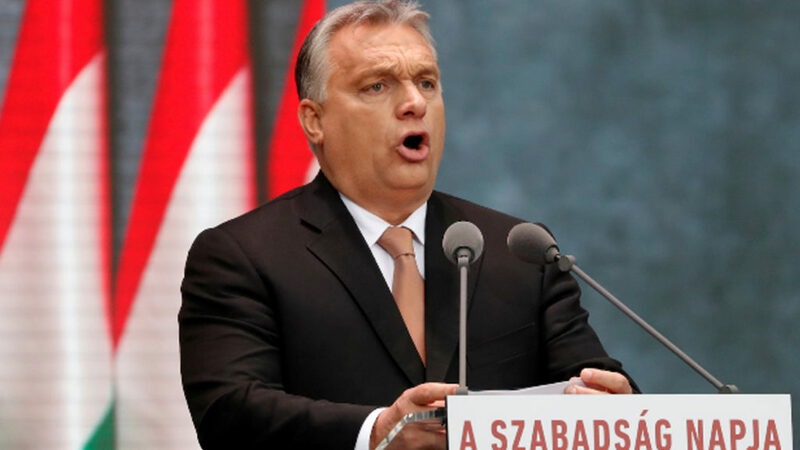 In the latest in a string of attacks on civil liberties in the country, close allies of the far-right Prime Minister Viktor Orban are taking over hundreds of major newspapers and television channels in the country. Furthermore, the Central European University announced that it will have to leave Hungary due to pressure by the Orban government. At the same time, a major critic of Orban’s policy is Andras Heisler, who is the vice president of the World Jewish Congress in Hungary. The pro-government newspaper Figyelo published the face of Heisler on the cover with money raining down from above, in a classic anti-Semitic trope designed to evoke race-based hatred against him. The Hungarian government refused to condemn this anti-Semitic representation in the newspaper. Heisler traveled to Israel to try to convince the Israeli politicians there to stop legitimizing the Orban government. Israeli Prime Minister Benjamin Netanyahu is himself very right-wing, is closely allied with Orbán and the Hungarian government; and Netanyahu, in fact, refused to meet with Heisler despite the anti-Semitic attacks. And as I said, this is leading to much concern, because Hungary is a member both of the European Union and of NATO, and its government that’s extremely far right, is lurching further right and cracking down on liberties inside the country. Well, we are joined by a journalist who is in Budapest reporting on the crackdown on civil liberties. 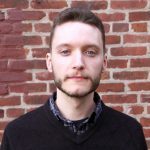 Benjamin Novak was a senior correspondent for The Budapest Beacon, and he’s now freelancing for numerous outlets, including The New York Times and other outlets. Thanks for joining us, Benjamin. BENJAMIN NOVAK: Thanks for having me on. BEN NORTON: So first of all, can you respond to this latest news that the Orban administration is essentially consolidating control over hundreds of news outlets? This seems to be pretty heavy handed crackdown on press freedoms inside Hungary. BENJAMIN NOVAK: Sure. The crackdown on media didn’t just start now. This actually goes back to 2010 with the takeover of public media. In Hungary, public media as a service to inform the public of information that’s relevant to their lives has ceased to exist. Public media is now essentially state media. It is the place where press releases from the government can be released without any kind of control whatsoever. So this happened in the period after 2010 as Orbán was consolidating power. A financier to his party and a close ally of his for many years, a guy by the name of [name inaudible] began to build up his vast pro-government media empire in the private sector. And Orbán had a huge falling out with Mr. [name] after the 2014 election. And Mr. [name] essentially turned his media outlets against Orban. And what happened here was that Orbán then announced, he called on other oligarchs close in his orbit to invest in media. So you had a huge buying spree where many many many people with business ties to the Orban government or the immediate circle around Orban started acquiring news outlets everywhere. We’re talking about online media, print media, we’re talking radio, we’re talking television. You name it, they bought it. And so what happened was is, you know, up until today you had a few huge players close to Orban who controlled vast amounts of Hungarian media. To give you an idea of just how expansive this privately-held pro-government media empire was, they control every single newspaper in rural Hungary. Outside of Budapest, every newspaper is owned by this close group of people around the prime minister. And so this announcement last week that–or two weeks ago, I’m sorry–that all of these media outlets will be moving to a single holding company was really just a formality, because they were all technically the same thing. It was the same stories appearing in all of these outlets. And in total there’s about 500 outlets, I would say just under 500 outlets, about 470, 480, that have now been moved into, they are now owned by a foundation that was created for the purpose of owning all of these outlets. And this foundation is run by very close allies of Mr. Orbán, including a former and a sitting MP from his party. And so it’s an interesting situation, yeah. But it’s all a formality. BENJAMIN NOVAK: I’m sorry. So these outlets were nominally independent, but when you look at the editorials it was very clear where they were getting [the majority of news] from. BEN NORTON: Yeah. And let’s talk more about that. It seems to me that all of these are signs of the fact that Orbán has essentially consolidated complete power, total authority. We’ve also seen that Hungary, the far-right government there has formed a kind of united front, if you will, with the far-right government in Poland, and they’re allied together inside the European Union to protect each other’s far-right policies. And specifically, Hungary refuses to accept refugees from the Middle East and Africa. And with the closing of Central European University, this kind of pact between these two far-right EU members, do you think that it’s now time to say that Viktor Orban has essentially won, and that Hungary is a kind of authoritarian show under his command? It’s a one-man show. And Poland and Hungary have really dissolved democracy? I mean, of course, Poland’s a whole other can of worms. We can’t get into Poland now. But do you think that Hungary has essentially moved from a democracy to a kind of authoritarian state? BENJAMIN NOVAK: Well, I’m not a political scientist. I’m only a journalist but based off of my research into many things, including media ownership in Hungary, the independent institutions and the justice system–talking here about the public prosecution, or talking about the judiciary, what you can see in Hungary is that there’s effectively no more checks and balances. There is one person calling the shots in this country, and everything depends on, you know, what side of the bed that person woke up on that morning. It’s quite alarming, actually, to imagine that something like this, a transition like this, can happen in an EU member state. We know Hungary is also a NATO ally. NATO’s got some problems with other member states. We hear about Turkey. There have been a lot of concerns about what’s happening over there. But in Hungary, Orban has effectively consolidated power to the extent that he’s won the game, here. Elections here are simply a formality, just like media ownership. You run through the motions, but at the end of the day the institutions behind it are hollowed out. And so it is a very interesting situation. It’s a little bit different from Poland in that I believe that Mr. Kaczynski’s party has more ideology to it. Here it seems they’re just kind of making things up as they go along to distract the public from issues that are much more pressing to them, to their most immediate lives. But by and large, these two governments have compared notes. You can see that in polling the government there really took a look at what Orban had done in 2010, and realized what they needed to do was go after institutions. So when you talk about the takeover of public media in Poland, you’re looking at is something that is essentially a case study of Hungary being practiced by another country. The same thing can be said for the big crisis in Poland’s judiciary right now. So it is a, it is an interesting situation. Both of these governments have promised to back each other up in case the European Union were to take action against either one of them. So you have two groups here who have got each others’ back. They happen to be–I don’t want to use the term black sheep, but they are, they are perceived to be troublemakers within the European Union. BEN NORTON: Yeah, and then finally let’s talk a bit about the anti-Semitism I spoke of earlier; specifically the anti-Semitic caricature of this government critic Heisler. The Hungarian government is very closely allied with Israel, the right-wing government of Benjamin Netanyahu. And the Hungarian government did send an assurance to the Israeli government that it will not deny the role of Hungarians and the killing of Jews during the Nazi Holocaust. This is somewhat similar to the situation in Poland, although the history in Poland is, of course, different. We’ve seen in the past year that Poland passed legislation that that makes it illegal to discuss Poland’s role in the Nazi Holocaust. But the situation in Poland is, of course, more complex. There certainly was collaboration. Whereas In Hungary the regime was–there was a Nazi collaborating regime, and it was a fascist government. BEN NORTON: Yeah. So maybe you can–of course, again, the situation in Poland is a bit more complex. But maybe can you talk about the situation with Hungary? Because what’s fascinating is that the Israeli government condemned Poland’s Law on the Holocaust, whereas the Israeli government has remained quite mute about the anti-Semitism and the open displays of anti-Semitism going on in Hungary. And specifically there’s also–there are recent reports that the Hungarian government will not open the Holocaust Museum in Budapest. Why not? BENJAMIN NOVAK: OK, this Holocaust Museum, this one in particular that there’s a dispute over, it’s called the House of Fates, I believe is how you translate that. That’s a very contentious museum. Budapest already has a Holocaust Museum. The problem is, I gather from Hungary’s Jewish community, is that a certain narrative is being presented in the House of Fates; one that would downplay the role of Hungary and Hungarians in the Hungarian Holocaust. And so, you know, you do have concerns amongst the Jewish community about, you know, maybe it’s not right for us to get involved in something like this. The Hungarian government has done a lot, the Orbán government in particular, has done a lot to pander to Hungary’s historical far-right sentiments. And by that I mean anti-Semitic sentiment. It is really remarkable. One of the ways they do that is by glorifying political figures from that time, from the interwar period. You may recall that the first anti-Semitic laws passed in Europe in the 20th century were not passed in Nazi Germany. They were passed in Hungary. And as the years went on, Hungary’s regent–it had no king, it had a regent, a guy by the name of Mr. Horthy–but he allied himself very closely with that Hitler. And there were … estimates put it as high as 500,000-600,000 Hungarian Jews that lost their lives in the Hungarian Holocaust. The Hungarian government is eager to kind of pass blame off on this on the Nazis when in fact the government of Hungary did play a complicit role in the Hungarian Holocaust. They were anti-Semitic laws here beforehand; very intense anti-Semitic propaganda beforehand. And so this Hungarian government here is trying to downplay all of it. But at the same time, in trying to pander to far-right sympathizers here in Hungary, what they do is they try to kind of restore the reputation of those far-right leaders who existed in Hungary during that time; people who were notorious anti-Semites. And so they’re kind of speaking out of both sides of their mouth. I’m not sure whether our viewers here are aware, but for many years now in Hungary, since about 2015, we have been inundated with a very intensive propaganda campaign against George Soros, the billionaire financier and philanthropist. And you know, while I’m sure there could be a debate about Mr. George Soros’ business activities over the years, one thing that’s for sure is that the Open Society Foundation has supported civil society in this region for more than 25 years, and have really done a tremendous job kind of feeding civil society growth and maturity in this region. And this whole migration crisis for Mr Orban was an excellent opportunity to kind of spin it as a larger conspiracy by George Soros to bring in a bunch of refugees–I’m sorry, not refugees, terrorists and Muslims–into Europe for the purpose of destroying Hungary’s or European nation-states. So what you had was this massive Orwellian propaganda campaign in Hungary, where George Soros’s face, the picture of George Soros’s face in black and white, with a menacing smile, talking about his plan. And you know, part of this plan is this conspiracy theory that Mr. Soros wants to wants to bring in Muslims and terrorists to destroy Europe’s Christian nation. And so knowing Hungary’s history and knowing it–you know, it’s a very unfortunate history, also, with anti-Semitism, and you know, seeing the propaganda of the interwar period leading up to the Hungarian Holocaust. When you see pictures of George Soros plastered all over the country, appearing on television ads, radio ads being played everywhere. You couldn’t open a faucet in this country without the propaganda coming out of it. And seeing how Mr. Soros is portrayed, you can definitely draw a parallel between that and the anti-Semitic propaganda of the interwar period in Hungary. And so the way Mr. Orban tried to downplay this was by kind of showing the world that he’s on very good terms with with Mr. Netanyahu. Which is very interesting, because Mr. Netanyahu himself is leading a far-right government; not far right, but a right-wing government in Israel. And he is also a huge enemy of Mr. George Soros, and also uses Mr. George Soros as a scapegoat. So it’s really kind of like a Twilight Zone here, in that respect. You kind of–it’s very difficult to make sense of what happened here. One thing is for sure, people in Hungary’s Jewish community are very worried. They are quite alarmed by the kind of propaganda we’re seeing here. And when you take a look at a social problem like this against the backdrop of, you know, the dismantling of democratic institutions, the non-adherence to international convention, people’s civil liberties be taken away, you can see how this is something that not only Hungary’s Jewish community is worried about. BEN NORTON: Well, we’ll have to end our conversation there. We were speaking with Benjamin Novak, who was a senior correspondent for the Budapest Beacon. He is now freelancing for numerous outlets, including the New York Times. As always, thanks for joining us, Ben. BENJAMIN NOVAK: Thanks for having me. Bye.